General Surgery Flushing Hospital Medical Center, Flushing, New York, USA, part of the New York Hospital-Cornell Medical System from 1991 to 1997. Plastic Surgery Duke University Medical Center, Durham, North Carolina, USA from 1997 to 2000. Microsurgery, Breast Surgery and Reconstructive Surgery at Memorial Sloan-Kettering Cancer Center, New York, New York, USA from 2000 until his return to Greece in 2001. Diplomate, American Board of Surgery (expired) and American Board of Plastic Surgery and is certified in General and Plastic Surgery. Medical Student/ Resident education at the Universities Albert Einstein, Duke, Cornell. Courses at the University of Athens, Attikon, Aretaion Hospitals since 2002. Collaboration with Lito, Hygeia, Mitera, Euroclinic, Athens Medical Center, Errikos Dynan, Eugenideion Hospitals. 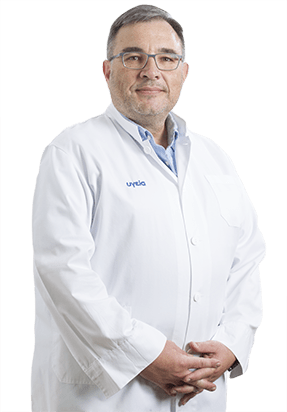 Clinical associate of the University of Athens at Areteion and Attikon Hospitals since 2002. Clinical interest: Reconstitution of Head & Neck, Breast and extremities, with or without Microsurgery, facial and body Aesthetic Surgery, Rhinoplasty. Research Interest: Effects of Vasoactive Medications on the Blood Flow of Myocutaneous Flaps in Pigs. P.G. Cordeiro, P. Heerdt, D.P. Mastorakos, Q.-Y. Hu. Submitted as Research Protocol to the Plastic Surgery Educational Foundation by Dr. P.G. Cordeiro, and funded by a grant from that foundation. The effects of CO2 laser on swine random skin flaps. D.P. Mastorakos. Research funded by the Aesthetic Society. He worked on skin flap reperfusion injury at Memorial Sloan-Kettering Cancer Center, New York, USA. He has received scholarships from Papadakis, Kriezis funds for postgraduate studies in the US and the National Scholarship Foundation. He has received the Kokkalis Award from the Hellenic Surgical Society, the Polycratis Award from the Hellenic Society for Plastic, Reconstructive and Aesthetic Surgery, first place in the experimental category of Murry Friedman contest of the American College of Surgeons and Best Scientific Exhibit Award from the American Society of Aesthetic Plastic Surgery (New York). Editing Translation, Paris, Athens 2004. Marinis A, Gkiokas G, Anastasopoulos G, Fragulidis G, Theodosopoulos T, Kotsis T, Mastorakos D, Polymeneas G, Voros D. Surgical techniques for the management of enteroatmospheric fistulae. Surg Infect (Larchmt). 2009 Feb;10(1):47-52. Mavrogenis AF, Mastorakos DP, Triantafyllopoulos G, Sakellariou VI, Galanis EC, Papagelopoulos PJ. Total scapulectomy and constrained reverse total shoulder reconstruction for a Ewing’s sarcoma. J Surg Oncol. 2009 Dec 1;100(7):611-5. Kyriazi MA, Stafyla VK, Kondi-Pafiti A, Arkadopoulos N, Dafnios N, Hasiakos D, Fotiou S, Mastorakos D, Smyrniotis V. A novel technique for surgical reconstruction of the perineal floor following anteroposterior exenteration of the pelvis–case report and review of the literature. Eur J Gynaecol Oncol. Georgopoulos S, Mastorakos D, Kondi-Pafiti A, Katsenis K, Arkadopoulos N, Kannas D, Archontaki M, Vestarchis N, Kokkalis G. Hydroxyzine, cimetidine and vitamin C in reducing skin flap necrosis in ischemia-reperfusion injury in rats. A comparative study. J BUON. 2012 Apr-Jun;17(2):377-82.